Teen Mom OG‘s Farrah Abraham left the show in January, and amid accusations of fixed boxing match demands, followers accuse her of using green screen photography in Canada. It seems controversy follows everywhere Farrah goes these days. Followers on Instagram slammed her for the allegedly leaked boxing contract, over the homeschooling of her daughter Sophia, and over make-believe photos. 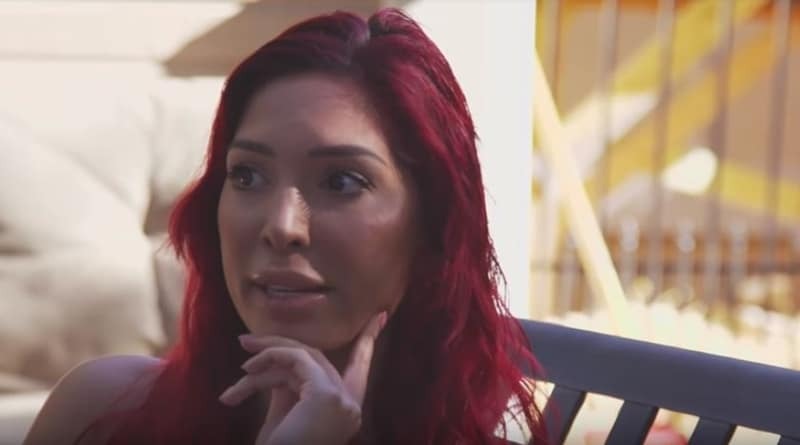 Many fans of Teen Mom OG still refer to Farrah Abraham as one of the young mothers from the MTV show, but increasingly, followers talk about her upcoming appearance on Ex on the Beach. She will meet up in the next with her ex, Simon Saran. A slightly racier show than the Teen Mom series, potentially, it’s a better fit for her. Farrah drew criticism from many quarters on the show. 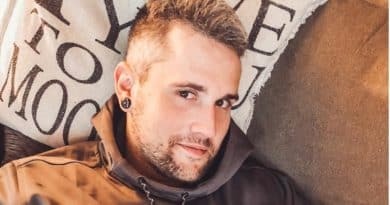 Some people may argue that she at least takes Sophia to the grave of her dad, Derek Underwood every year and allows family access to his daughter. However, that’s really not as juicy as the other scandals she manages to attract from the media. Would it worry anyone if an actress participated in a green screen photo? After all, they use the technique for weather forecasters and on the big screen. In fact, anyone may purchase software to place people in front of a still image. Some TMOG followers determined she had green-screened the photo that showed the pair standing in the snow. Some of them noted that this popular destination appeared empty of other visitors. One Teen Mom OG follower, @cherry34008 posted, “Why does it look like a green screen is behind them?” Another noted that the background looked “fake.” One follower said they noticed that the picture looked a bit “off.” More than one Teen Mom OG fan said that they agreed the background looked really fake. Another noted that they wonder why the image looks like a green screen, but they never said the actual place was fake. Over on Twitter, Farrah Abraham tweeted about “Having fun in my Winter Wonderland” on December 4. On December 3 she also posted about it, noting that she was with her daughter at Fairmont Le Château Frontenac. She hashtagged it with #skitrip. Actually, one has to wonder, if she really green screened the Insta photo, why she would post on Twitter about it for days? Nevertheless, haters love to take down controversial celebs any way they can. What do you think of the Instagram photo by Farrah Abraham? Do you think she and Sophia posed in front of a green screen backdrop? Check in with Soap Dirt often for news about the cast and former members of Teen Mom OG.